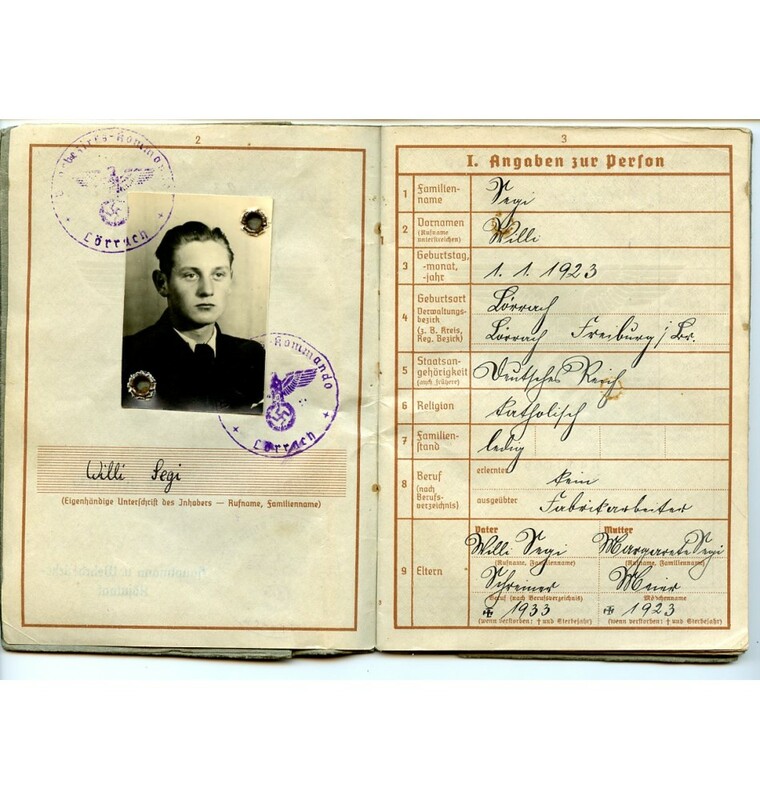 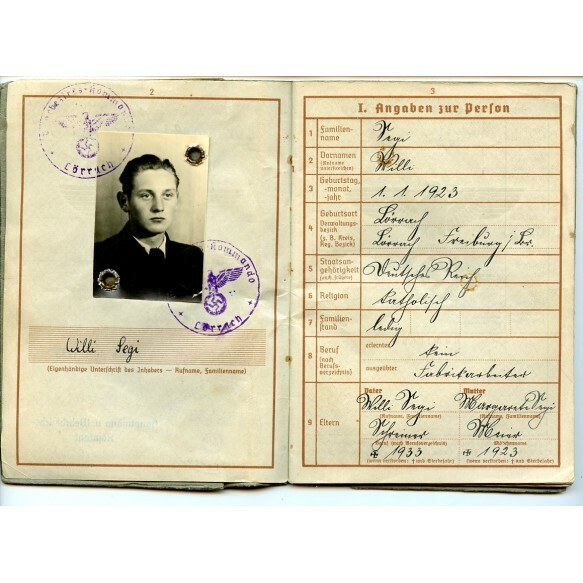 Wehrpass to Wili Legi, member of the SS Reichsführer. 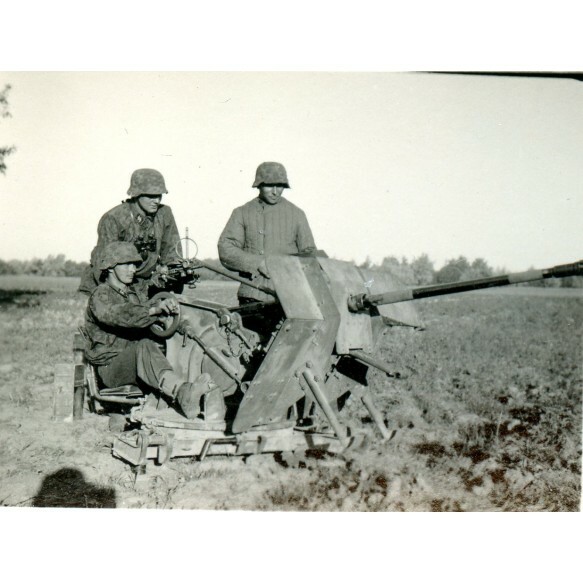 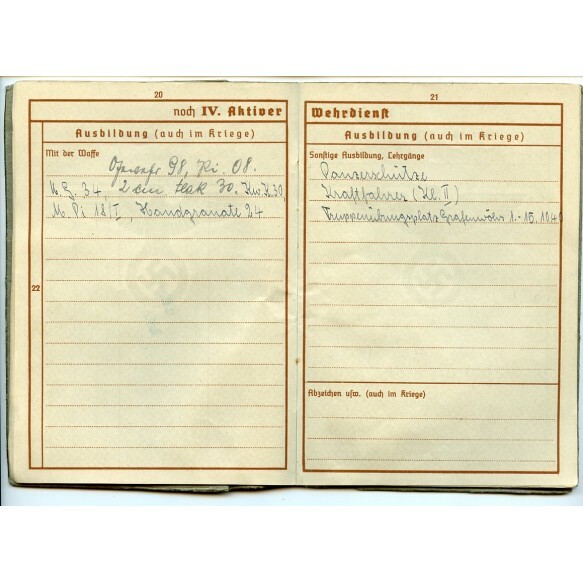 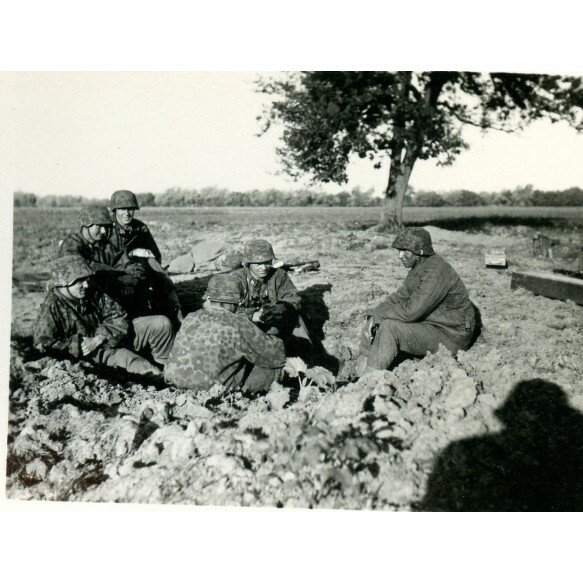 As a Panzerschütze and driver in the SS Panzerspähr Kompanie, he was trained with several weapons including the 2cm flak, Kampfwagenkanone 30 and MG34. From this armored unit he was transfered to the Reichsführer SS Battalion (RFSS). 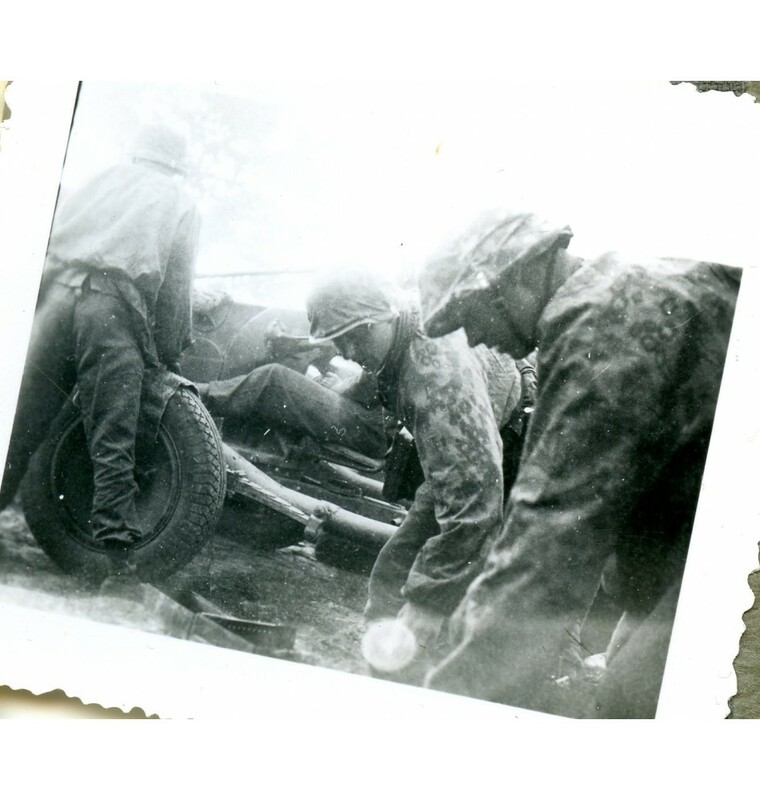 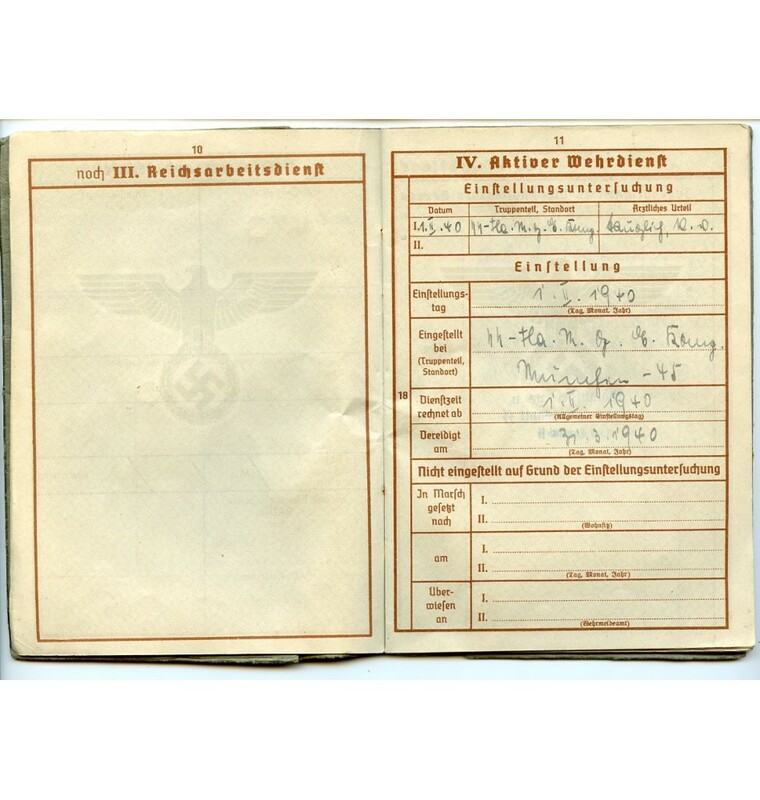 Regi got wounded in March 1942 and received the wound badge in black. He was send to several "Genesenden" units and was active again late 1944 where he also received the EK2 probably in Italy. 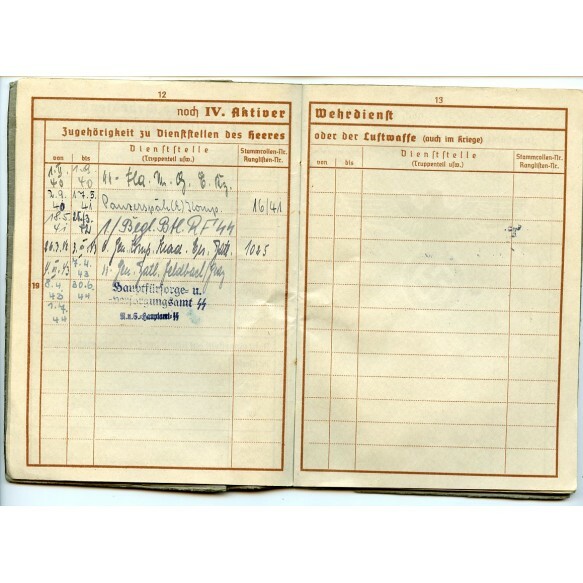 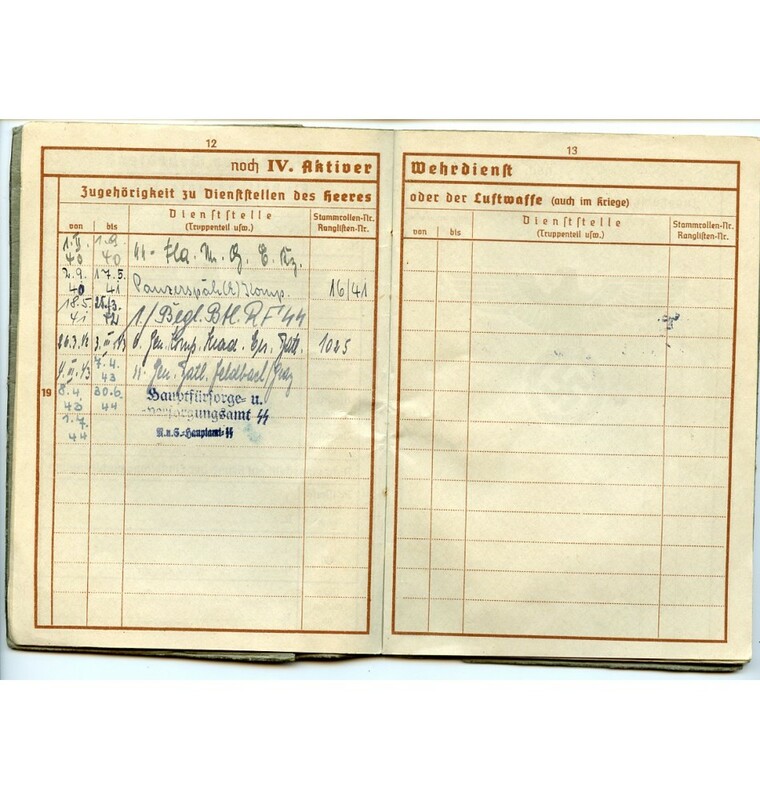 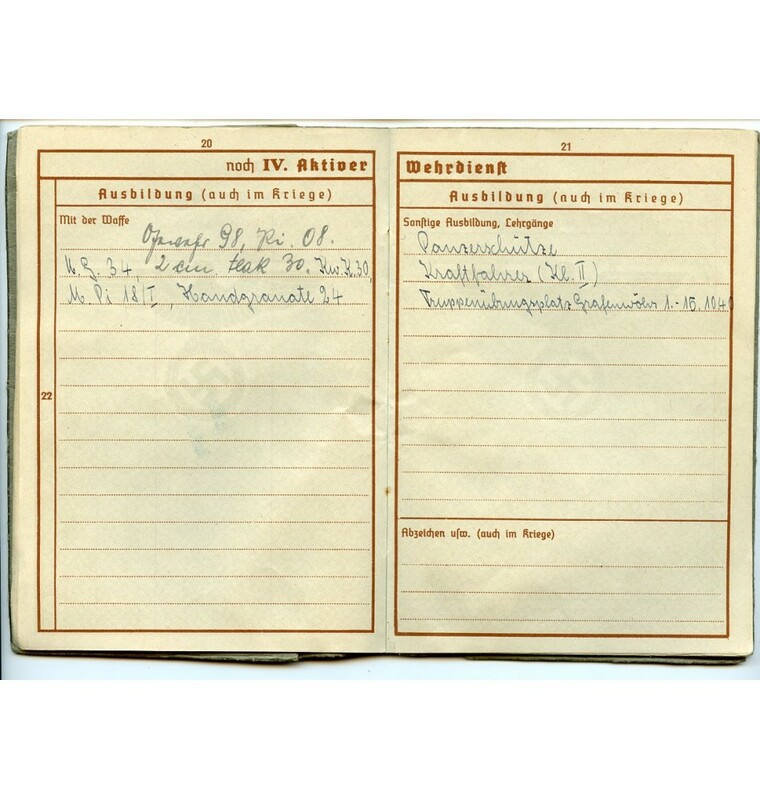 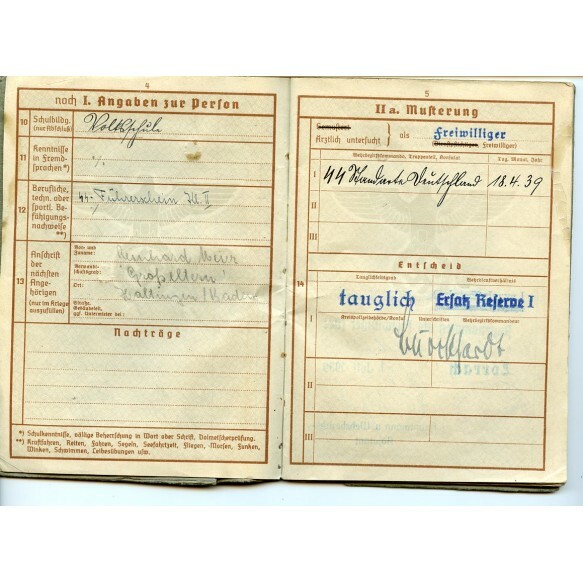 Legi was promoted to SS-Sturmmann on 20.4.1941 and to SS-Rottenführer on 1.3.1942. 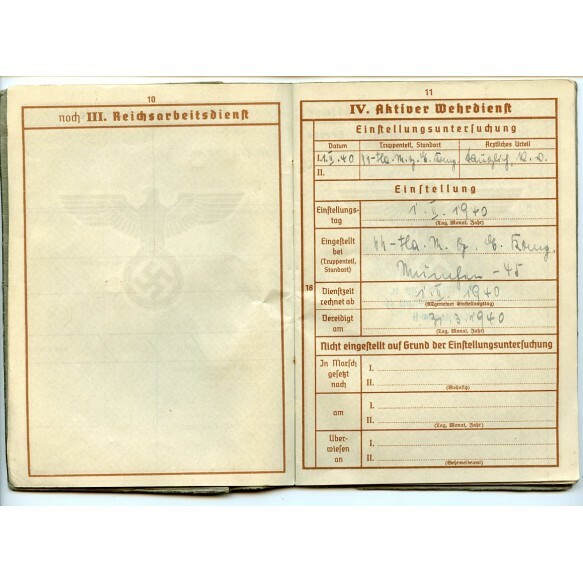 He was awarded with the wound badge in black, east front medal and later in the war (8.12.44) with the Iron Cross 2nd class. 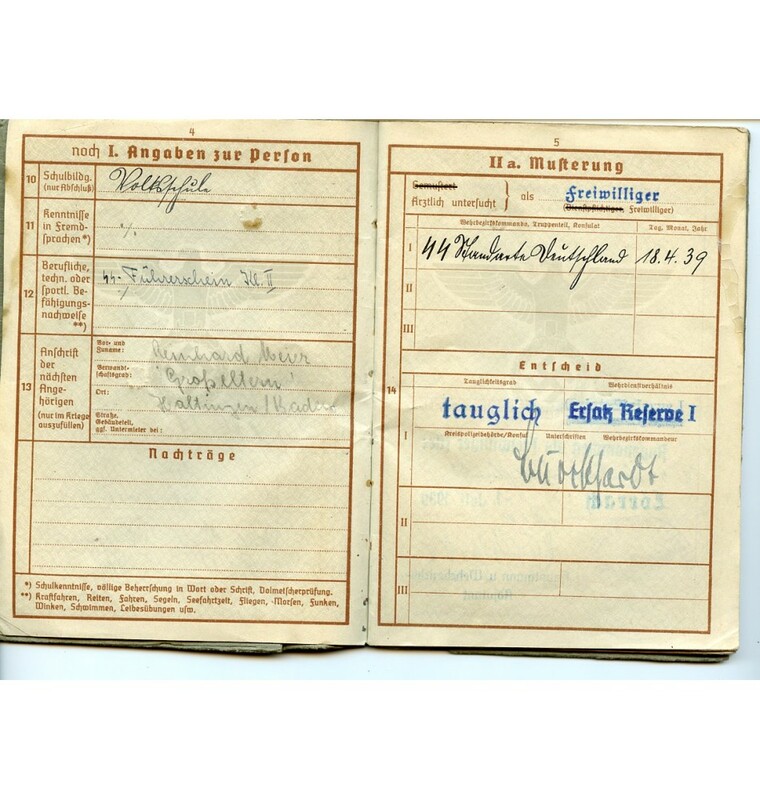 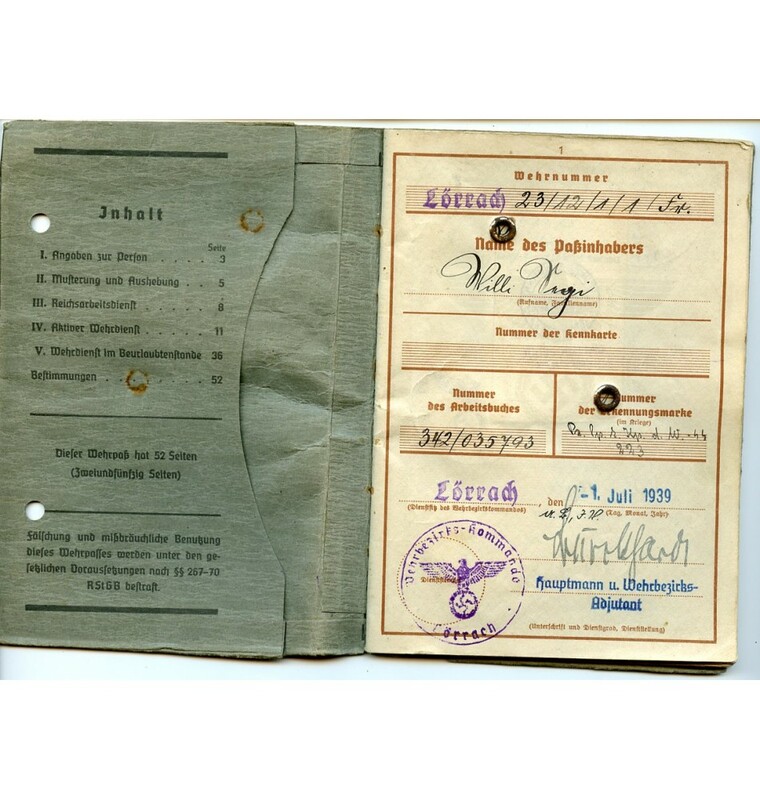 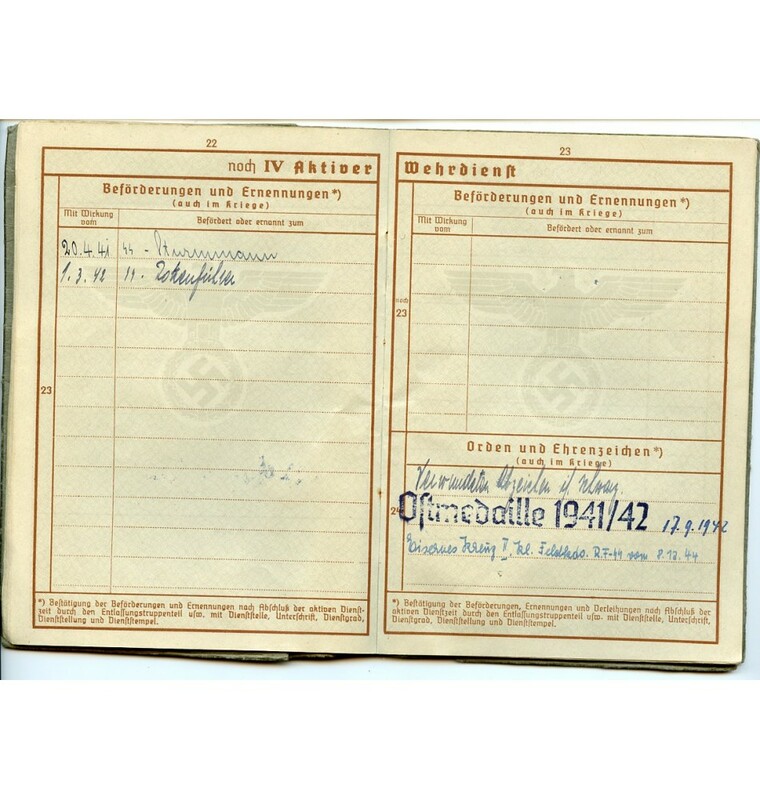 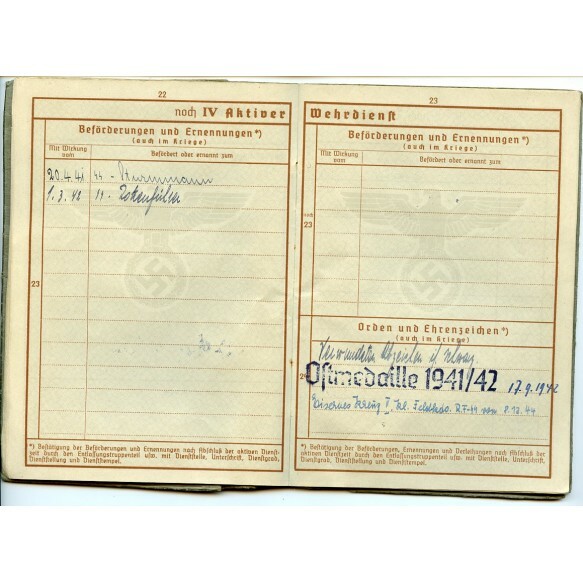 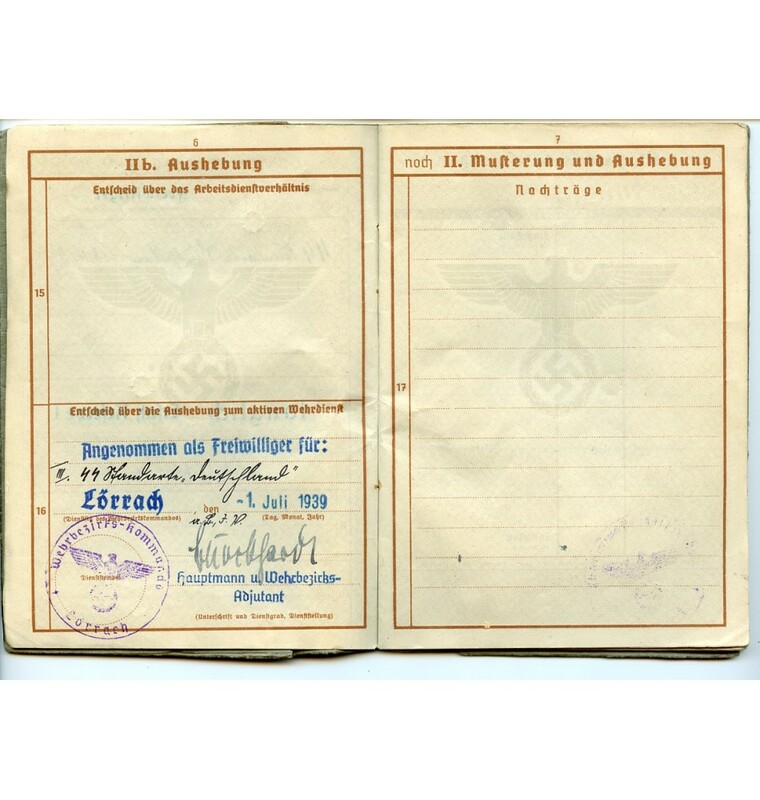 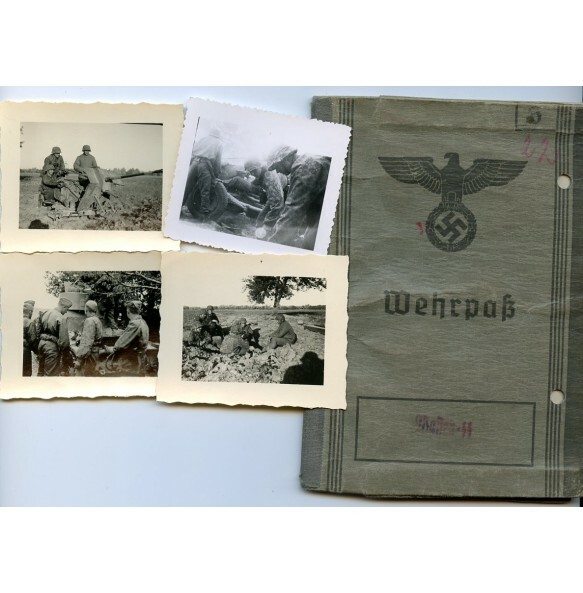 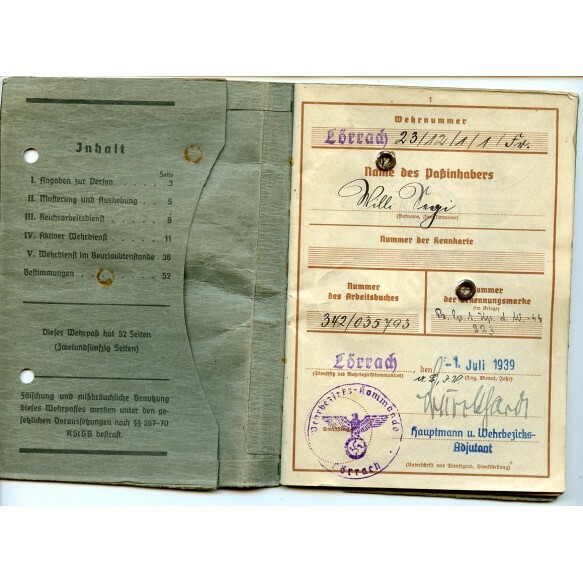 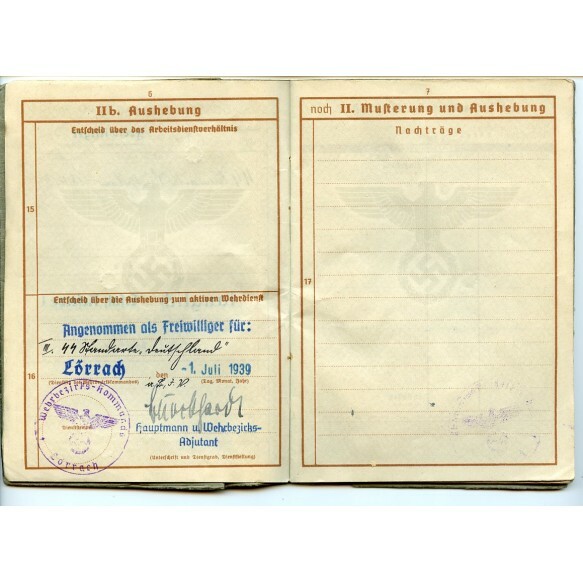 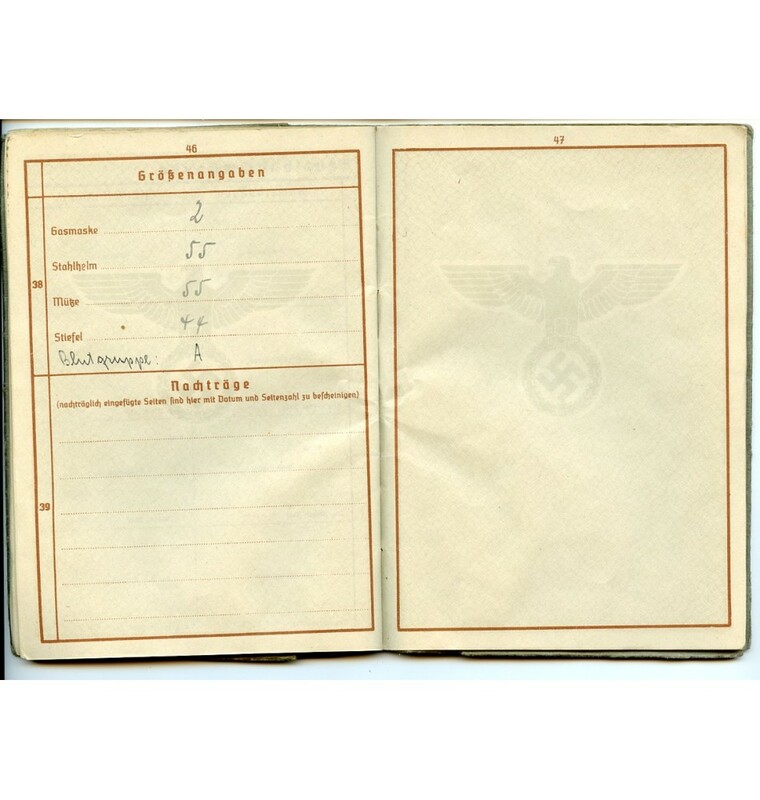 The Wehrpass remains in very good condition and has the SS designation mark on front. 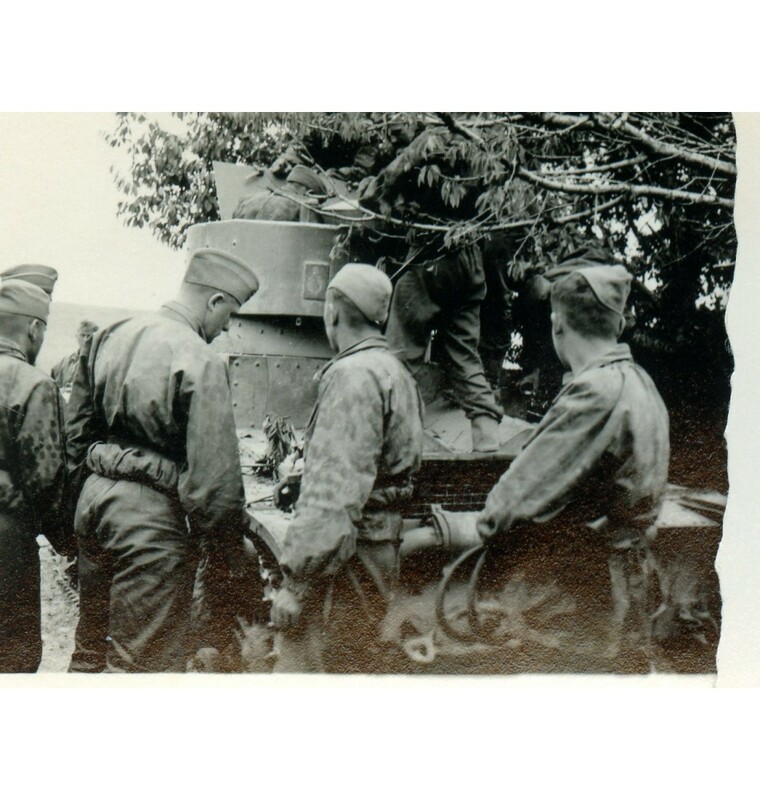 Civil photo of Legi and 4 private photos in early camouflage uniforms come with it.